Facing deportation or removal is a very emotional and stressful time. Whether you or a loved one are facing deportation, it is one of the most frightening things you can experience. Each year, thousands of families across the U.S. are torn apart because of deportation. If you have received a notice to appear before an Immigration Court for deportation or removal defense attorney, call us now. Deportation is the fear of all immigrants, especially of those who are staying in the US, without a valid residency or well past the expiration of their work or visitor visa. When an applicant is cited to court for this very reason, they must make sure to have the best deportation defense lawyer Los Angeles to avoid being deported from the country. It’s essential to know that once someone gets deported, they won’t be allowed legal entry for the duration of a minimum of 5-8 years. Attorney MP will do their best for their client to avoid this gruel some situation. In deportation proceedings and asylum cases, you need skilled attorney who understands the intricacy of those deportation laws, otherwise your chances of prevailing are very slim. The judge will always give you an extra time to look for the counsel, because he knows how difficult your situation is. Last year 90% of cases for asylum where rejected, because of lack of adequate defense. Don’t let it happen to you. Misdemeanor and Felony Crimes—including forgery, theft, money laundering, murder, robbery, kidnapping, sexual assault, battery, etc. Violation of an Existing Status—overstaying your visa period, failure to register, changing your address without notifying the authorities. 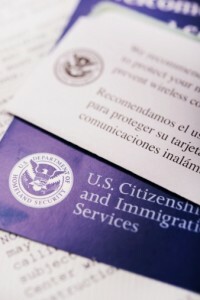 Cancellation of the Removal – If you have been a U.S. citizen for over ten years, have a history of good character, and can prove your removal would cause undue hardship on you and your dependents, you could file for a cancellation of the removal and qualify for legal permanent resident. Adjustment of Status – sometimes you can stop deportation process by simply changing your current immigration status. You may be able to stay in the country because of your qualifying relationship to a cousin, sibling or spouse. Adjustment must be approved by the judge, but once it is approved, your deportation will be cancelled. Asylum – Our attorneys may be able to prove that returning to your country could cause physical harm. Or you may be persecuted due to your religion, race, gender, etc. If you have already been a victim of past persecution, you can also qualify for asylum. Speak to an attorney as soon as possible if you received a deportation notice. We are making it our goal to defend individuals and families in these stressful situations. We can look for ways to prevent removal, establish a defense strategy, and protect your rights. Find out more about our deportation defense services by scheduling a no obligation consultation and call 800-217-0042.